Golf is a game of elegance, but golfers haven’t always been known for their sartorial panache. Golf and fashion haven’t always gone hand in hand, but this is something that has slowly changed. This is especially true of ladies’ golf fashion, which, until recently, leaned towards boxy, unflattering styles that looked bad and often made their wearers feel worse. Ladies’ golf fashion today, however, now offer lady golfers a wider range of options. Women’s golf clothing designers have widened their horizons, having learned that women golfers not only want to play the game in comfort, but in style as well. Designer golf fashions now often come to the fairway via the runway and you’ll find that quite a few of the major fashion houses now offer their own golf wear lines. 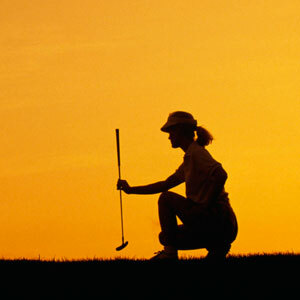 What often gets overlooked, however, is golf apparel for older women. Today’s designs look great on lady golfers, it’s true, but mostly if they’re in their 20s and in the best of shape, a description that would fit only a small percentage of today’s population of women golfers, most of whom are in their 40s, 50s, 60s and older. There’s hardly any ladies’ golf fashion for older women and what there is, is often nothing more than slightly smaller versions of men’s golf wear. There’s no reason why ladies’ golf fashion for the mature golfer should be uninteresting. As the GoldenWear collection will show you, it’s certainly more than possible to be in vogue and look great at any age.